30" D-Grip Tile Shovel Replacement Handle USA | Beaver-Tooth Handle Co.
30" D-Grip Tile Shovel Replacement Handle. Sharp Shooter. Made from Ash in the USA. Metal Hardware. Listing is for Handle only. I guess I'm old school because I hate to throw anything away when it is still usable. So, I am replacing several broken handles and the products from Beaver-Tooth Handle Co. are excellent...maybe better that the original. Got this handle to rebuild my Dad's old 1967 Tru Temper coal shovel that I have used since I was a teenager. Lots of sentimental value there. Handle was outstanding! The curve of the neck fit my old shovel's socket perfectly. The woodgrain was oriented just right. 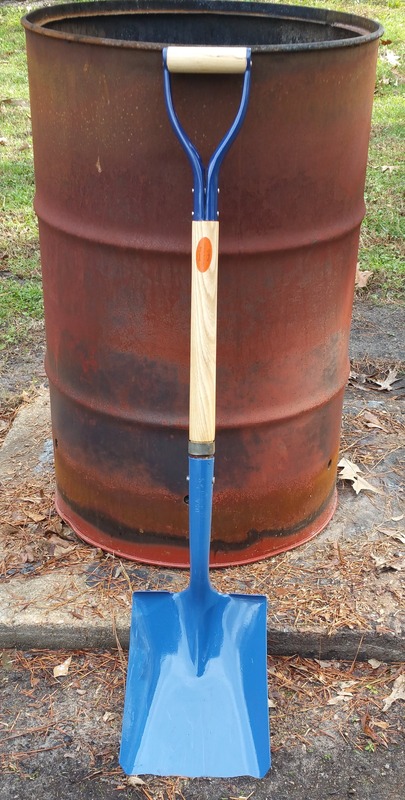 It was exactly what I needed to rebuild the old shovel. Over the years carpenter bees had eaten into the old shovels handle hollowing it out. Couldn't use it for snow and ice removal anymore. I was very happy that Beaver Tooth offered this up for sale. I know my local hardware shops don't carry anything like this!